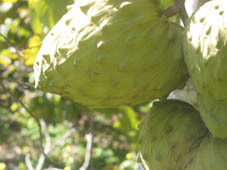 South Coast Organics is proud to offer,in our opinion,absolutely the sweetest and best tasting of all the cherimoya grown in this area. Referred to as the "Fruit of the Gods" they can be eaten fresh at room temperature (my personal favorite way) or slightly chilled once ripened to offer a tropical "ice cream" like sensation. Our avocados are buttery smooth and have a subtle nut like flavor.They are in fact "Better than Butter" when spread on your favorite bread. 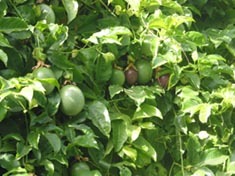 They are the "White Sapote"variety. 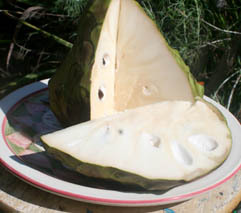 Also known as the "Custard Apple" are scrumptiously good eaten fresh.Kids love them! 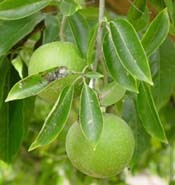 Also known as the "Pineapple Guava" with an almost pear like granular consistency.